We offer a variety of groups addressing different developmental, affective, situational, or life experiences. Each group is run by an MDCS expert within the area of the group being offered. 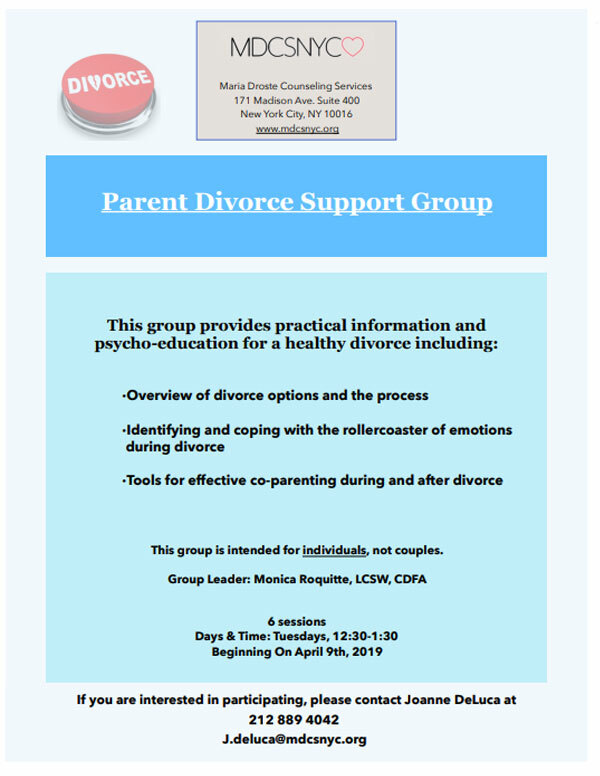 Groups are offered in 4-6 week cycles or are long-term groups. Group times range from 1 to 1.5 hours long. 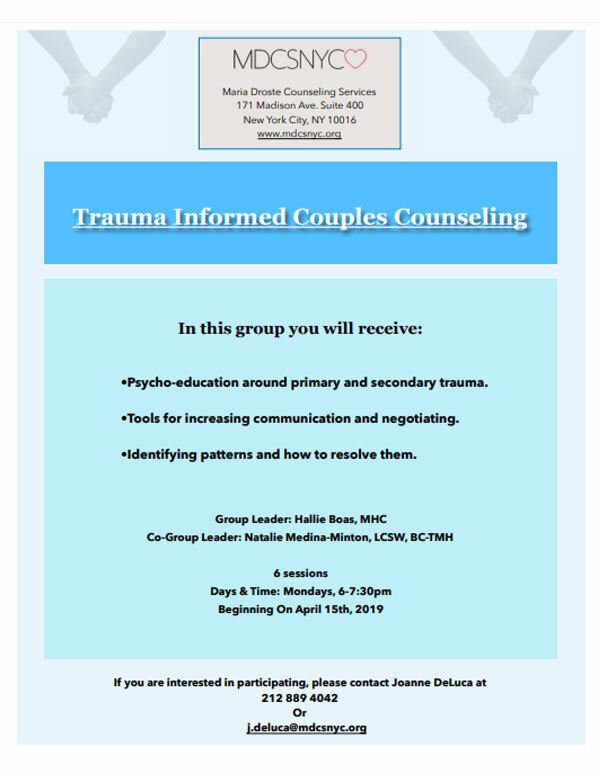 This group is intended for individuals, not couples. Psycho-education around primary and secondary trauma. Tools for increasing communication and negotiating. Identifying patterns and how to resolve them. Our staff of licensed professionals (Psychologists, Clinical Social Workers, and Mental Health Counselors) share a commitment to creating a supportive, safe, and accepting therapeutic environment where every client has the opportunity to engage in a process of self-understanding that leads to growth and change.